Mary M. (Blair) Hinds performing for a War Bond drive as a Navy Wave in 1944. Cited for “outstanding artistic achievement” by Massachusetts Governor Deval Patrick, Franco-American fiddler Donna Hébert has deep roots in music. Her mother and aunt formed a cowgirl band in their late teens in Haverhill MA and their cousin, Clem Myers, was a passionate fiddler who founded the Northeast Fiddlers’ Association. Clem also mentored Donna in the 1970s. Donna’s hands have always itched to play. Her mother removed one of the doubled strings on her own mandolin (the one in the photo) so Donna’s fingers could manage. Donna sang with her mom at performances, later sharing that activity with her own daughter, Molly Hebert-Wilson. Molly now sings with Donna in Mist Covered Mountains. Their vocal CD, This Distant Shore, was released in 2013. After sharing a high-school orchestra stand with soloist Elmar Oliveira, Donna picked up a guitar and turned left at the folk revival in the 1960s. In the 1970s, she apprenticed as a fiddler with the Canterbury Country Dance Orchestra. For ten years, Donna and caller Tony Parkes produced the Concord Scout House contradance series with Yankee Ingenuity. Coached in authentic fiddle styles by mentors Louis Beaudoin, Gerry Robichaud, Clem Myers, Joe Cormier, Graham Townsend, Allan Block and Séamus Connolly, Donna began to tell her own story. In 1993, Donna met Franco-American singer Josée Vachon, bringing their shared cultural identity to the fore. With guitarist and singer Liza Constable and bassist and Cajun accordionist Alan Bradbury, they performed as Chanterelle in the U.S., Canada and France. Chanterelle released two CDs and were included on the 1999 Smithsonian anthology, “Mademoiselle, voulez-vous danser?” Their “Soirée chez nous” (1996), is in print, and Donna and Josée still meet for the occasional soirée. 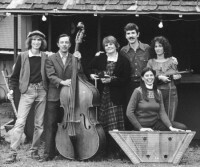 To honor her mentors, Donna joined with fiddler George Wilson in 2005 to help document the music of Vermont fiddler Louis Beaudoin and his brother, guitarist Wilfred Beaudoin. The Vermont Folklife Center was able to digitally archive the family’s home recordings, creating the Beaudoin Family Collection. Louis and Julie’s daughters, Nina Beaudoin and Carmen Bombardier, also presented five years of concerts in the northeast with other family members and friends as the Beaudoin Legacy. The group recorded a live concert CD and video in 2008. 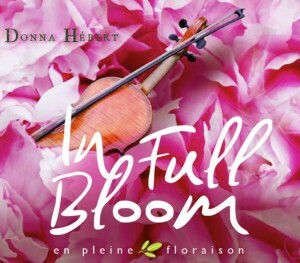 With the help of fiddler and producer Pascal Gemme (of Québecois trio Genticorum), Donna released “In Full Bloom,” in 2009 with a companion tunebook. Donna is joined by Pascal, fiddler André Brunet, pianist Rachel Aucoin, accordionist Sabin Jacques, dancer Marie-Soleil Pilette, guitarist Max Cohen and the late Québecois pianist, Dénis Frechette. Donna’s sprightly fiddle-accordion duet with Sabin Jacques on “La Valse Joyeuse,” is indeed, joyful, while the duet with André Brunet (and his feet!) on Louis Beaudoin’s settings of “La grondeuse” and “La grande gigue simple” would make anyone dance! “In Full Bloom is Donna’s best – un vrai délice!” says Québecois singer and accordionist Benoit Bourque. With Groovemama and now with Mist Covered Mountains, Donna has directed Great Groove Band youth performances at Old Songs Festival since 1998 and at the Philadelphia Folk Festival since 2006. Donna has mentored eight Franco-American fiddle apprentices through the National Endowment for the Arts’ Master-Apprenticeship program and was named an Artists’ Fellow in the Folk Arts by the state of Massachusetts in 2008. 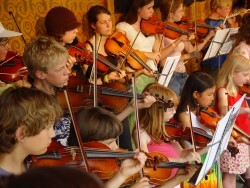 A fiddle instructor at Smith, Amherst and Mt. Holyoke Colleges in western Massachusetts, Donna teaches at colleges and summer programs. Recent residencies include the Goderich (Ontario) Celtic College, John C. Campbell (NC) Folk School, the Vermont Fiddle Orchestra and Smith College. Donna’s “Fiddling Demystified for Strings,” an in-depth study of styles, “should be required reading for all string teachers hoping to branch out into fiddling,” said Laura Risk in Strings Magazine. String pioneer and Berklee professor Darol Anger says “Donna gets it all right,” in his foreword to the book. • Celtic and contemporary folk ensemble Mist Covered Mountains with singer Molly Hebert-Wilson and singer/guitarist Max Cohen. They also direct youth performances of the Great Groove Band at Old Songs and Philadelphia Folk Festivals and play the Philly Folk Fest contradances. • Donna and Max perform as a duo. 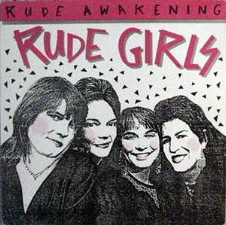 Their “Orange on Blue” instrumental CD is available for download. • With Jane Yolen and singer-songwriter Lui Collins, Max, Donna, and Molly present shows of Jane’s poetry readings and their own musical settings of her verses. Their debut show, Away with the Faeries, is due for a summer 2017 CD release. • Max, Donna and Lui are booking dates as a trio called (or cawed!) 3 ravens. Trio shows draw from personal favorites and material from the show with Jane Yolen. They debut as 3 ravens Friday March 3 at Pulpit Hill Cohousing Concerts in Amherst.